To characterize rheumatologists’ perspectives on evolving trends of reactive arthritis (ReA). 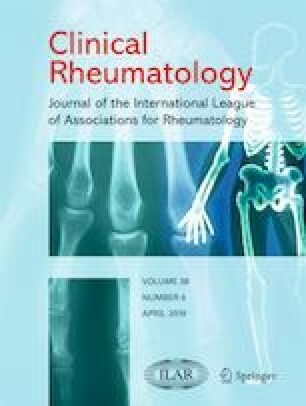 After ethics approval, 548 members of the Canadian Rheumatology Association were surveyed with 37 questions covering their demographic information, subspecialty, level of experience, practice setting and opinions on prevalence, treatment, and causes of ReA. Results were analyzed with descriptive statistics. Ninety-seven responded to the survey (18% response rate); 66 fully completed it. Nearly half of respondents believed that the incidence of ReA is declining and causes of ReA may be changing. Physicians reported that most of the ReA cases in their practices were caused by an unknown organism, sexually transmitted, or gastrointestinal infection. Full triad ReA increased the chance of recurrence according to their impressions. Common investigations in ReA included inflammatory markers, HLA-B27, chlamydia and gonorrhea testing, stool cultures, synovial fluid analyses, SI joint imaging. ReA treatment included NSAIDs, intra-articular corticosteroid injections, and DMARDs. Two-thirds said they used TNF alpha inhibitors in chronic ReA occasionally or more frequently. ReA may be decreasing in frequency and severity in Canada. Changes could be due to less food borne illness, cleaner water, or more rapid treatment of sexually transmitted infections. The cause is often unknown in clinical practice. Reactive arthritis (ReA) is likely decreasing in prevalence and severity. Patients with classic trial of arthritis, urethritis, and conjunctivitis are more likely to have recurrent and/or chronic ReA. The causal organisms are often not detected and seem to be changing over time. The online version of this article ( https://doi.org/10.1007/s10067-019-04522-4) contains supplementary material, which is available to authorized users. We would like to thank Claire McGowan, project coordinator of the Canadian Rheumatology Association, for her assistance in the distribution of our survey. We are grateful to Marie Préfontaine for translating our survey to French. We would also like to thank all participants for their time answering our survey to make this work possible. None to declare. Kaitlyn Hayes had funding for a summer studentship from the Canadian Rheumatology Association. This study was approved by the Canadian SHIELD Ethics Review Board # 17-10-003.